A large number of issues affect our freshwater environments from pollution to habitat modification, invasive species and flooding. Click here to find out more about them. Tap image below to view more. The West Cumbria Rivers Trust team are a dedicated bunch of environmental professionals from varied backgrounds. We are all passionate and enthusiastic about our work to improve and protect the varied watery landscapes and ecosystems within central and western Cumbria. Ian tackles the vital task of trying to prevent the introduction of and stop the spread of invasive species in our area. He previously worked for Environment Agency (and its predecessor) for over 16 years and this included spells in fisheries, water resources and pollution control. He is passionate about Cumbria and improving our rivers for fish and a myriad of other species, both plants and animals. He lives in Keswick. Karin joined the trust in 2011 as our invasive non-native species (INNS) coordinator, she then successfully bid for and set up our Catchment Partnerships before moving on to delivering projects to improve land management, water quality & habitat creation. Karin is currently delivering our Adopt a Beck project on Kirk beck & Black beck in Beckermet. Karin previously worked for the Environment Agency, Bassenthwaite Reflections (HLF funded) and she was fortunate enough to work with Durrell Wildlife Conservation Trust in the West Indies. In her spare time Karin likes to play outdoors and eat cake. Diane was responsible for delivering the EU LIFE freshwater mussel project, ‘Pearls in Peril’ in Ennerdale. Although this project is now over, Diane continues to work in Ennerdale delivering the Compensatory Measures Project which is a partnership project between United Utilities, Environment Agency and Natural England. The aim of the Project is to promote a healthy, functioning river habitat that supports freshwater mussels and all other species that depend on this habitat through the restoration of natural ecosystem processes. Diane has over eighteen years’ experience in the conservation, environmental and sustainability sectors and loves being in the outdoors. Phil is the Trust’s Volunteer Coordinator, an exciting new role offering more volunteering opportunities in all areas of our work. She also works alongside farmers in the Cocker Catchment. 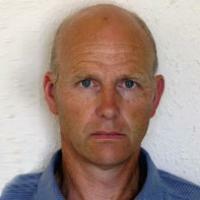 Phil has a background in conservation, including working for the Forestry Commission and the National Trust. She has a BSc in Zoology from Aberdeen University - and did once work at a zoo!! In her spare time you’ll find her helping on the family farm or playing rugby! Chris is the River Irt Project Officer, working to improve the habitat for the freshwater pearl mussel in the catchment. 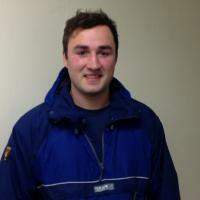 Chris has a farming background in Cumbria, formerly working for Eden Rivers Trust. Spare time is spent on the farm and walking when possible. Ruth is a Project Officer, running several projects including the Derwent electrofishing programme and projects in the Waver and Wampool catchments. She lives on the west coast of Cumbria in Whitehaven. A keen geographer she has a BSc in Physical Geography and an MSc in Polar and Alpine Change. Throughout her degrees she studied a range of topics but with a particular focus on geomorphology. She is looking forward to gaining experience through working with us. In her spare time Ruth volunteers as a Leader for Girlguiding Cumbria North, loves to read and spend time knitting, sewing, gardening, baking, cycling and walking. 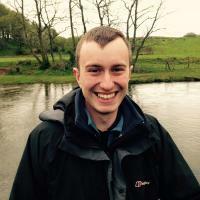 Josh is a PhD student at Lancaster University who’s project is supported by the Trust. His project focuses on the effects of installing sustainable agricultural measures within the Ellenwise catchment to improve river water quality; management of the interventions is lead by Jonny Kidd. 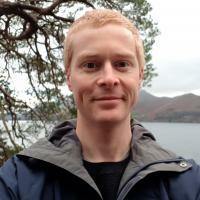 Born in South Wales, Josh studied his undergraduate and masters degrees at Plymouth University before working as an environmental consultant in the Middle East. 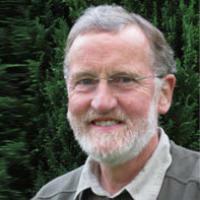 His focuses have been on freshwater ecosystem services and how to improve and utilise them. In his spare time he enjoys rugby and generally anything that keeps him active! Caitlin joined the Trust in May 2017 as Catchment Officer, working on our Catchment Partnerships and action plans. Caitlin previously worked as a Project Officer for the Yorkshire Dales Rivers Trust after finishing her PhD on the effects of farming on stream invertebrates. 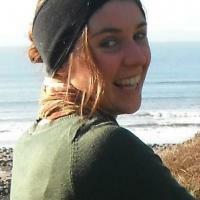 She completed her BSc and a Masters on native crayfish at Durham University. 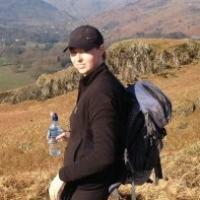 In between her studies she has worked with the Game and Wildlife Conservation Trust and as an outdoor education tutor. Caitlin feels very lucky to have moved to Cumbria and is looking forward to spending lots of time fell running, cycling and swimming in the lakes! Jonny is our Ellenwise Project Officer. He grew up on a working farm in the Eden Valley and then moved to the north-east to study a BSc in Environmental Science and a Ph.D looking at the effects of long-term fertilisation on soil carbon. Jonny is delighted to be working in a passionate and successful team and is looking forward to working closely with farmers and landowners to enhance the water environment in the Crookhurst catchment. As a keen cricketer, Jonny plays regularly for his local team in the summer. He also enjoys road cycling and walking in the Lake District fells. 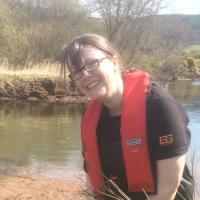 Clair is one of the Trust’s Natural Flood Management Project Officers, covering the Glenderamackin catchment. She has previously worked as a ranger for the National Trust in the South Lakes and volunteered for The Conservation Volunteers (TCV) in Leeds. She has a degree in Geography from Newcastle University and is keen to use her geomorphology and conservation background in this new and exciting role. 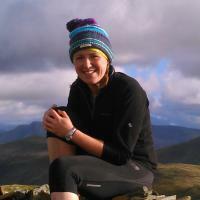 In her spare time, Clair enjoys riding her mountain bike, road bike and swimming in many of the Lake District’s wonderful tarns. 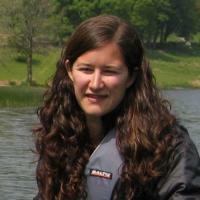 Annabelle is the Natural Flood Management Project Officer covering the Cocker catchment (Loweswater, Crummock and Buttermere). She recently worked for Morecambe Bay Partnership, and previously with Wildlife Trusts managing a variety of conservation projects and nature reserves. She studied for an MSc in Protected Area Management, and previously gained post-graduate qualifications in Bird Conservation & Ornithology and Biological Monitoring & Species Identification. In her spare time, she looks after her animals and small acreage of land. Jo joined us an intern in September 2018. 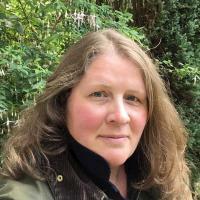 Jo has a BSc in Zoology from Edinburgh University and an MSc in Sustainable Water Management from Lancaster University and, having spent a long time raising her offspring, is keen to return to conservation and biology. She is looking forward to working with different members of the Trust, hopefully helping out and gaining all sorts of fabulous experience. Jo grew up in Italy, but has also lived in France, America and Germany. She enjoys cooking, travelling, history, cats and cycling. 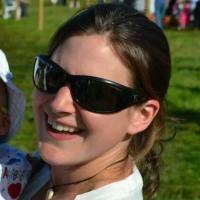 Sarah is our Communications and Administration Manager. 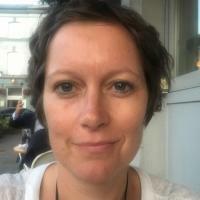 She has several years’ experience in marketing and communications and worked at the University of Essex prior to moving to Cumbria and joining the Trust. Sarah has a first degree from Oxford and is now studying part-time for a second in environmental science. When not working or studying, Sarah loves being out on the fells. Cathy is our Education and Engagement Officer. Her interest in wildlife conservation started when she spent a wet, muddy winter on the Isle of Arran volunteering for the National Trust for Scotland. 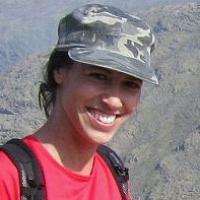 She has since worked as conservation ranger for Center Parcs and returned to Arran as seasonal ranger. She’s coordinated a busy family learning programme for Tullie House Museum and most recently worked as an ecologist and wildlife engagement freelancer working as lead ecologist for a number of sites linked to the United Utilities new pipeline. Cathy comes from a long line of teachers and thinks that’s where her passion for education and engagement comes from. When Cathy’s not in her wellies with schools and communities river dipping you’ll find her walking her dog Flynn on the saltmarshes and mosses of the Solway coast. Jodie, our Trust Director, started with us in November 2014 following a four year conservation adventure on St Helena in the South Atlantic. Originally from North Yorkshire, she can’t believe her luck at taking on this job with such a wonderful team and in such a fantastic location. 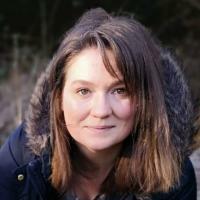 Jodie has worked in many parts of the UK and for a number of organisations such as the Wildlife Trust and National Trust and a number of small charities as well as County Councils. Jodie hopes to help the Trust deliver all its objectives over the coming years, particularly in engaging with the community and education. Vikki joined the Trust in January 2013. She manages our successful Catchment Partnership work alongside managing a team of staff, overseeing the delivery of some of the Trust’s significant projects and managing the Trust’s consultancy work. As part of the senior management team Vikki works to ensure the Trust is successful and continues to deliver an ever increasing portfolio of delivery to improve our rivers and their catchments for people and wildlife. 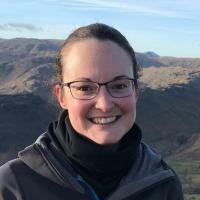 Vikki was born in bred in Keswick, and pleased to be back living and working in her home town, having previously worked as a Senior Ecologist in Leeds. In her spare time Vikki can mostly be found enjoying the outdoors with her young family. Luke joined us in December 2017 as the new Assistant Director, overseeing the river restoration programme. Previously working for an environmental contractor and with a background in environmental restoration and outdoor education, he is thrilled to be working with such an effective team. 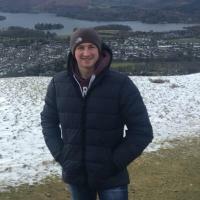 Having lived in Cumbria for 13 years Luke is passionate about the natural environment and, when not working, enjoys travelling to visit friends and family, as well as canoeing, fishing and walking with his young family and Labrador, Benny. West Cumbria Rivers Trust's members and trustees are made up of a healthy cocktail of leading West Cumbrian businessman, environmental professionals and representatives of the public sector and wider community. We believe the board has the necessary business expertise and nous to manage a modern public benefit orientated charitable trust. 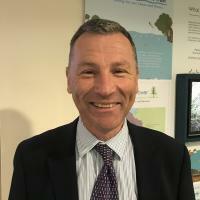 John Malley is Water Advisor to the National Trust and is responsible for ensuring that the Trust has the necessary support, knowledge and expertise in all aspects of the use and management of water. This role also provides opportunities for the Trust to demonstrate externally its expertise in water and natural resource management. In particular practical delivery on catchment scale approaches that deliver environmental, social and economic benefits via partnerships and sharing expertise to profile with existing and new audiences. Dave is, first and foremost, fascinated with all things water and rivers, what swims and lives in it, what surrounds it and, what effects its health and wellbeing. He is also a keen angler which periodically allows him to spend time on the river bank putting theory into practice. In the professional area of his life Dave is the Head of Commercial for Sellafield Ltd. He has worked in the nuclear industry supply chain in a senior role for more than 25 years, primarily at Sellafield but also across other UK nuclear sites. The majority of this time has been spent leading supply chain strategic programmes focussed on “whole Life” acquisition cost as well as a broad commercial management role. Dave brings drive and enthusiasm to the dealings of the Trust as well as strong commercial acumen. David is a retired chartered surveyor who spent his working life in professional practice in the construction industry. Originally from County Durham, David lived and worked in several counties across England before moving to Cumbria in 2006. His lifelong interest in the countryside is thanks largely to an early introduction by a farming uncle. His focus on rivers began in 1957 when a family friend took him fishing. David joined the committee of his local angling club as the junior section representative in 1960 and over the last 30 years he has become increasingly involved in working with government agencies and private bodies to help our rivers recover from the abuses and depredations of the industrial age. John began his career as an apprentice with North West Water in 1983 as a mechanical engineer. 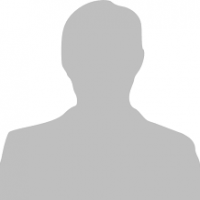 He soon joined United Utilities in 1998 where he held a number of senior roles in engineering, capital delivery, operations, contract management and a number of international assignments. John has most recently been Director of Operational Services, Network Operations and Future Concept of Operations, leading strategic change programmes across the UU wholesale business. 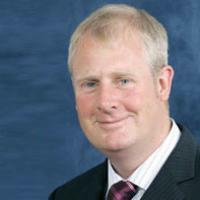 John holds a Bachelor of Engineering (Honours) in Mechanical and Production Engineering and a post graduate diploma in Utility Management, he is also a member of the Institute of directors and the Cumbria CBI. John lives in the North West with his wife and child, is a keen cyclist and petrol head. Sandy began her farm advice career at the Rural Payments Agency in 2002 before moving to Natural England in 2006. After delivering environmental schemes and Catchment Sensitive farming in the River Derwent catchment, she headed up NE efforts to deal with flood damage in the catchment. This culminated in her taking a position at the NFU to head the restoration response to flood damage on farmers land. 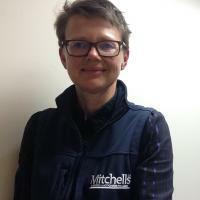 In 2012 Sandy joined Mitchells Land Agency, where her role as Farm & Environment Consultant saw her open a one stop advice service for the agriculture industry. She has since become a specialist in natural river flood management & restoration, along with pollution control and Environmental Impact Assessments. Sandy enjoys rivers and all things water but undoubtedly her biggest challenge and joy, is to help our rural and urban communities work together with in the physical boundaries of our rivers. We all have our own agenda and ideas of how a river should be managed but nobody has yet come up with the definitive answer. Sandy has twice been flooded by the River Derwent and so has an obvious interest where rivers are concerned. Sandy was born and bred on a Welsh Hill farm and in her spare time feeds her passion for rugby, road cycling and hill walking. Mark is committed to the conservation of rivers and working to protect the great outdoors. 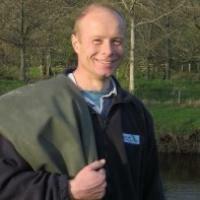 As a keen salmon & trout fisherman Mark knows that most anglers are conservationists at heart and their role as the eyes and ears on the river banks is crucial in detecting pollution incidents while also recognising the presence of wildlife that is so often the barometer of healthy river systems. 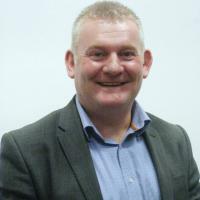 Professionally Mark is a Member of the Chartered Institute of Personnel and Development (CIPD) and works for Cumbria County Council in social care. This involves operating in an increasingly challenging environment and includes managing the £28m budget and supporting major changes in service redesign. Mark has lots of positive energy and believes that anything is possible! We are delighted he has joined our Board of Trustees for both his enthusiasm and the invaluable HRM support and expertise he is able to provide the Trust. We are delighted to welcome Lord and Lady Egremont as patrons of West Cumbria Rivers Trust. In showing their committed support to the Trust, Lord and Lady Egremont add prestige and credibility to our cause. His Lordship has been a dedicated supporter of the Trust through financial donations and also opening up his home at Cockermouth Castle for fundraising events.